Spray toner on critical hydration with this refreshing blend of skin-repairing Aloe, moisture-binding humectants plus soothing Lavender, Balm Mint and Arnica. Contains no artificial fragrance or color. Professional recommendation advised. I love this product and have used it for over 15 years! It is also good to use as a makeup freshener. Apply after your makeup is on anytime to give yourself a fresh newly made look. The only thing that can be improved is the pump spray nozzle. I noticed just in the past year that the pump will get stuck. This is not on all the bottles but on most. I find myself saving those pump sprays that do work and replacing them for the ones that don't. i absolutely love this product. I saw the difference in the appearance of my skin immediately after the first use. Love it. 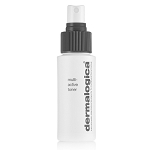 I have used Dermalogica multi-active toner for over 20 years and it is the best! i only use dermalogica products because it has given me the best results. I also look forward to trying their new products when available. i have also turned many of my family members on to them and they simply love them. Keeps my combination skin balanced. 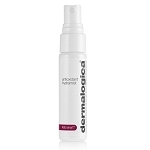 I use many Dermalogica products and really love them. Especially this multi-active toner. I have sensitive skin that's prone to breakouts and it works great! I love all Dermalogica products. Greta product for sensitive skin. Lavender(Lavandula Angustifolia) Extracts, Balm Mint(Melissa Officinalis); Aloe Barbadensis Gel, Butylene Glycol, Sodium Lactale, Sodium PCA, Sorbitol, Proline, Propylene Glycol, Extracts of: Mallow(Malva Sylvestris), Ivy(Hedera Helix), Cucumber(Cucumis Sativus), Sambucus Nigra, Arnica Montana, Pellitory(Parietaria Officinalis); Ricinoleth-40, Methyl Gluceth-20, Sorbic Acid, Benzophenone-4, Polysorbate 20, Disosium EDTA, Diazolidinyl Urea,Methylparaben. 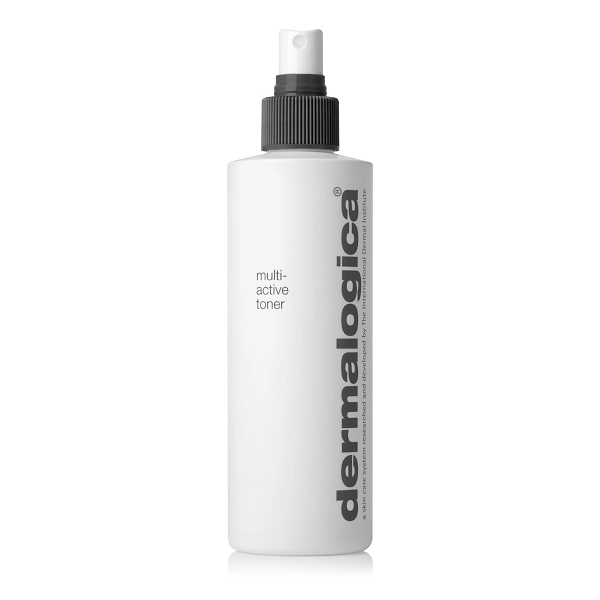 Dermalogica Multi -Active Toner 1.7oz.